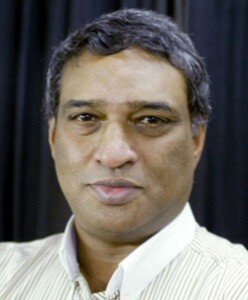 Chandra Mohan is an economics and business commentator. NEW DELHI, Oct 13 2015 (IPS) - The third India-Africa Forum Summit to be held in New Delhi later this month – in which 54 African countries will participaate – is expected to result in a deeper engagement between India and Africa. This summit takes place at a time when both need each other more than ever before. Both remain bright spots in a bleak and blighted growth landscape. Out of 189 countries, only 63 are expected to grow by 4 per cent and more this year, 36 of which are in Africa. But many countries there are adversely impacted by China’s diminishing appetite for commodities and shrinking trade. India is currently one of the fastest growing economies in the world. India wants to create a new architecture for its closer ties with Africa. What could be its important elements? There is no doubt that economic relations in terms of bilateral trade and investment are expected to improve manifold. Foreign Office mandarins bristle at the suggestion that this summit represents an effort at catching up with the much bigger Africa summits that China organized since 2006. They probably also demur at the suggestion that India has, in a “too little, too late” fashion, discovered Africa and is making amends through the promise of capacity-building, more aid and duty free access to its market. Energy security is an important area that has seen Beijing and New Delhi scramble for sources of oil supply in Africa to fuel their rapidly growing economies. But this is an area where India has lost out heavily to Chinese oil giants.Given this track record, there is a warrant for going beyond a “China catch-up” The perception that India’s interests in Africa are identical — notably, to only secure acccess to its vast raw materials and resources — needs to be dispelleed. India has one major advantage over China in this region, notably, the dynamism of its fast-globalising private sector, represented by the likes of Tata Motors, Godrej and Bharti Group. This is the trump card that India must play to forge a new partnership with the continent. Its investments must propel African trade into cutting-edge global networks that alter the international division of labour, as argued by Harry Broadman in his book Africa’s Silk Road: China and India’s New Economic Frontier. Indo-African trade has grown exponentially to US$93 billion in 2013. India has signed bilateral trade agreements with more than 20 African countries. India’s private investments in the continent have also surged over a period of time in diverse sectors like telecommunications, information technology, energy and automobiles. Another major advantage is the Indian Diaspora, especially in south and east Africa. For instance, India’s linkages with South Africa go back in time – the 1.15 million strong people of India origin arrived between 1860 and 1911 as indentured labour to work as field hands and mill hands in sugar and other plantations and stayed on. In east Africa, the Diaspora’s contribution has been significant in India’s trade as they own distribution channels, manufacturing facilities and even mines. Unfortunately, this potential has not been adequately tapped. India’s growing partnership with Africa must harness the strengths of the Diaspora. India Inc has committed US$10 billion to infrastructure and other projects since 2008. For instance, the Bharti Group has undertaken 11 green-field investments projects in Nigeria and Uganda in 2014, adding to its existing investments in 13 other African countries like Burkina Faso, Chad, Democratic Republic of Congo, Ghana, Kenya, Madagascar, Malawi, The Republic of Congo, Seychelles, Sierra Leone, Tanzania, Zambia and Uganda. The Tatas have invested in Algeria. India’s green-field investments in Africa amounted to US$1.1 billion as against US$6 billion of China in 2014, according to UNCTAD’s World Investment Report for 2015. The other important element is building on the longstanding history of friendship and cooperation in development. Indo-African relations quintessentially define the modern concept of development compact that is based on shared responsibility and helping one another meet their developmental goals. This compact is more South-South than North-South as it entails mutual gain, non-interference, collective growth opportunities and indeed an absence of loan conditionalities. All of this strengthens the partnership in capacity-building, education, agriculture, food security, climate change, energy security and so on in a concerted manner. Since the second summit in 2011, India has given 25,000 scholarships to African countries. A number of capacity-building institutions are in various stages of implementation. Three vocational centres have been set up in Ethiopia, Burundi and Rwanda. “India never says that we are setting up this institute, in this African country; here is the money, here is the institute, run it. This is what distinguishes us from the others,” stated the Secretary (West) in the Ministry of External Affairs at a consultation organized by the think-tank RIS ahead of the summit, adding that African countries felt “a vested interest” in such institutions and a sense of ownership. India offered US$7.4 billion in the form of lines of credit (LoC) or soft loans since the summits began in 2008 of which $7 billion has been approved. There are 140 projects currently happening over 41 countries with such concessional aid. Even earlier, India provided a major LoC for Ethiopia in 2006 which in a way changed the dynamics of cooperation. The (US$640 million LoC for the development of its sugar industry across the value chain was a landmark development. In the case of Mozambique, financing a solar panel production unit represented a departure from the way India previously supported projects in the realm of advanced technologies. The architecture of India’s engagement thus reflects its desire to provide comprehensive support for Africa’s development. India Inc is the spearhead for closer ties in trade and investment with the fast-growing economies of the continent. It is also a source for reliable and quality medicines and vaccines at affordable rates for large parts of Africa, especially in the battle against AIDS. The cooperation in the field of healthcare has contributed significantly towards Africa’s efforts to achieve MDGs. Post-2015, this partnership will also extend to achieving SDGs.